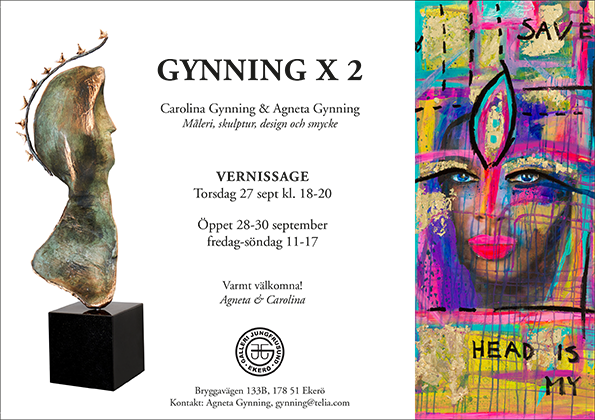 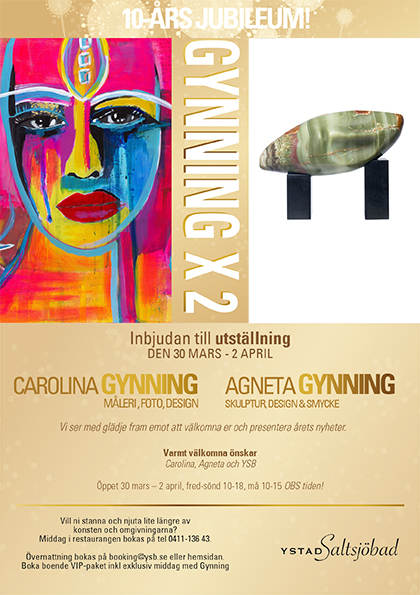 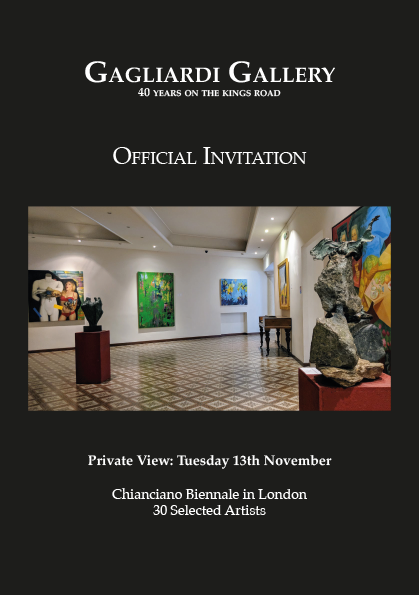 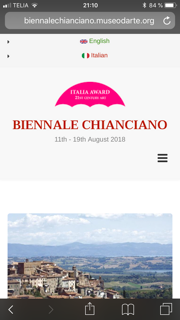 Agneta Gynning & Carolina Gynning Art, sculpture, design and jewelry March 30 – April 2, 2018 Open Friday – Sunday 10.00-18.00. 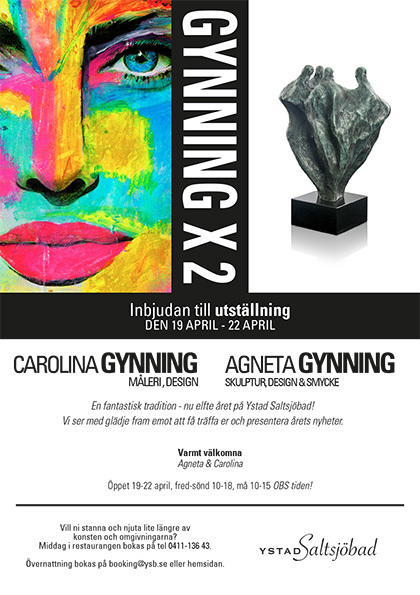 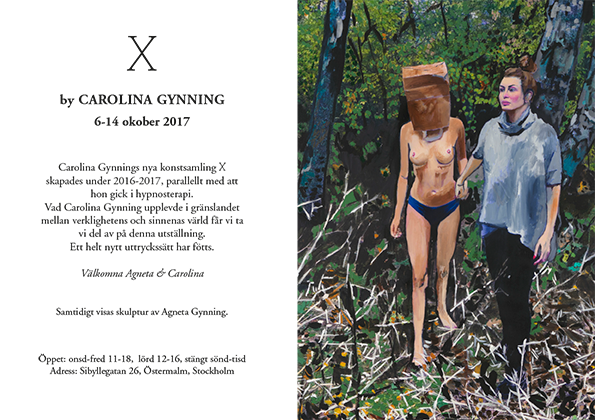 Monday 10.00-15.00 10th Anniversary: Ten Years of Easter Exhibitions at Ystad Saltsjöbad in Ystad, Sweden. 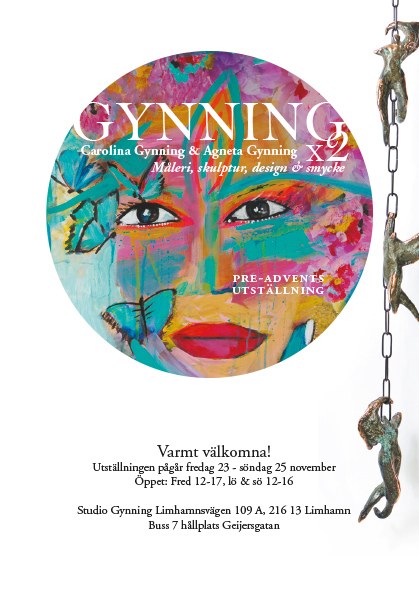 Agneta Gynning & Carolina Gynning Art, sculpture, design and jewelry December 8 – 10, 2017 Open Friday 12.00-17.00, Saturday & Sunday 12.00-16.00 Adventsmingel in Studio Gynning at Limhamnsvägen 109A, 216 13 in Limhamn, Sweden.